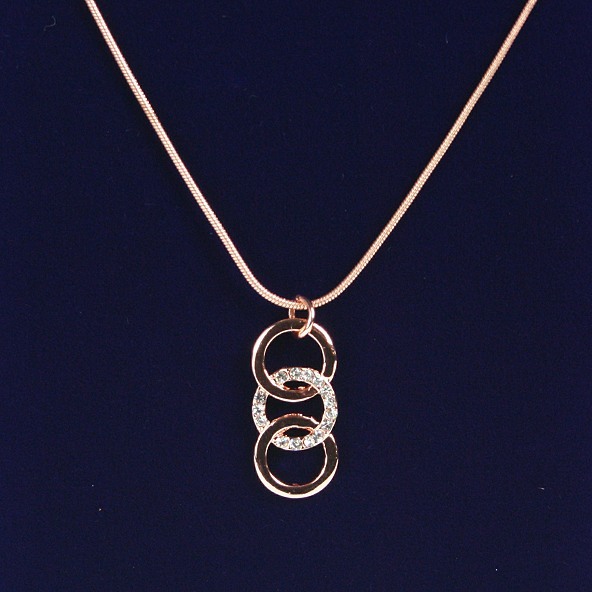 Dainty necklace by Indulgence with a small three circle drop pendant in rose gold with two plain and one encrusted with diamanté giving a subtle sparkle to this beautiful jewellery. Gorgeous neckwear for day or evening. Dainty necklace by Indulgence with a pendant containing three small circles, two plain silver and one with a beautiful silver sparkle.